If you're ever afraid of the pattern mixing trend, just go for classic black and white stripes + a pattern of your choice. I swear, it works with just about anything: leopard, plaid, polka dots, colorful patterns, and more! 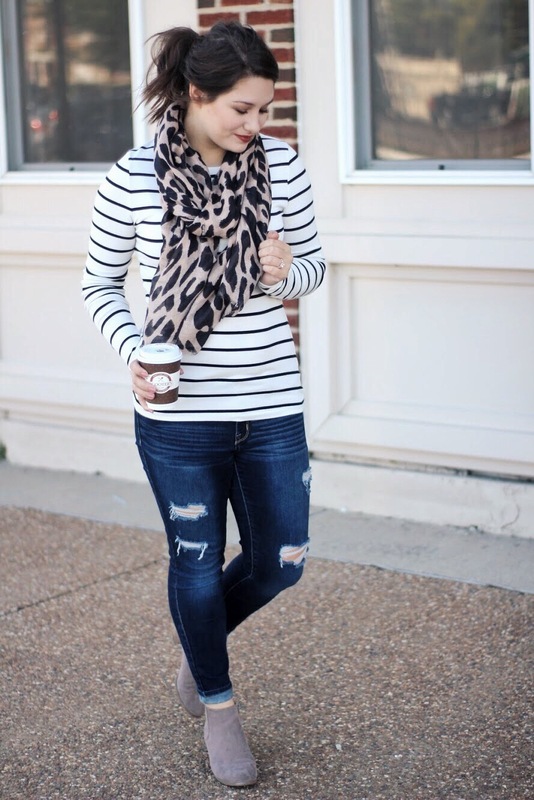 Today I went with my tried and true leopard scarf because there's just nothing easier than black and white mixed with leopard! 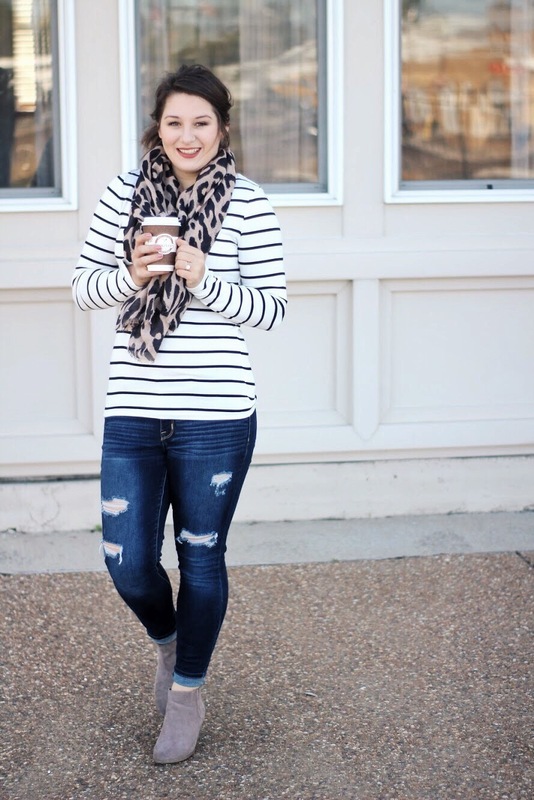 This is one of those outfits I keep in my arsenal for effortless casual style in a hurry. 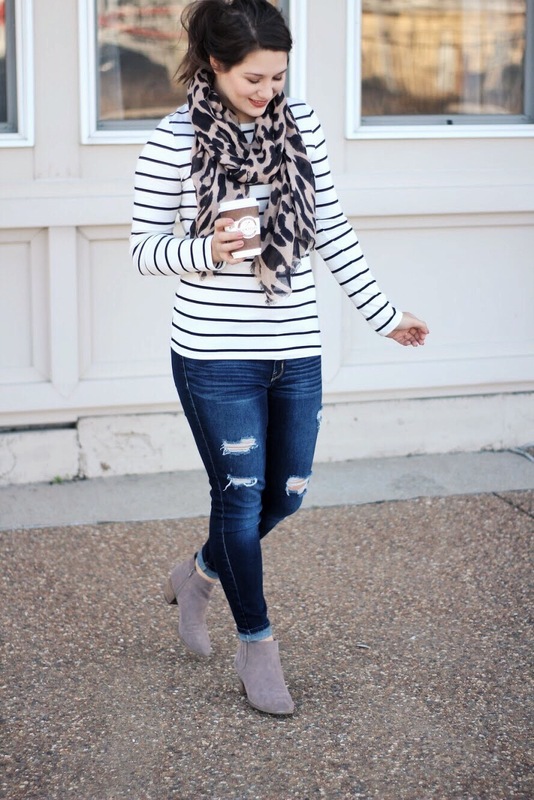 When I don't have time to think up an outfit or just don't want to look frumpy while running errands, this is my go-to! What do you reach for when you're racing out the door? LOVE this combo! 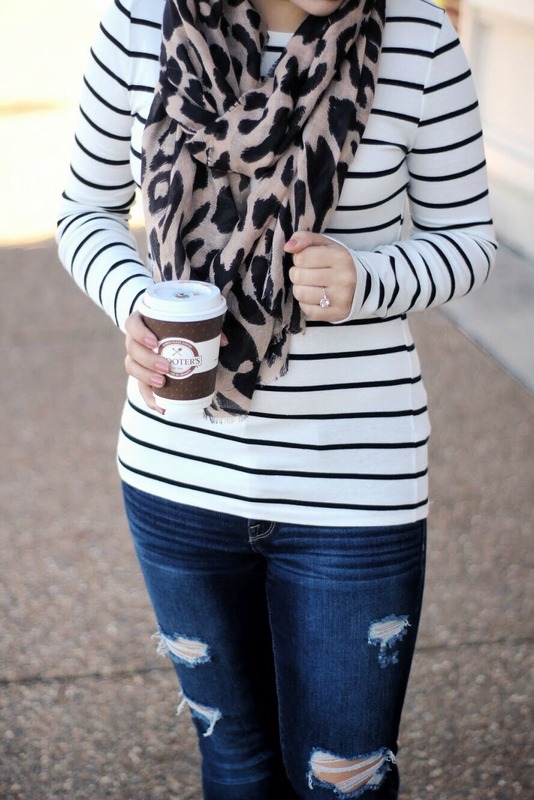 Leopard and stripes are such a great pair. Absolutely one of my most repeated outfits. 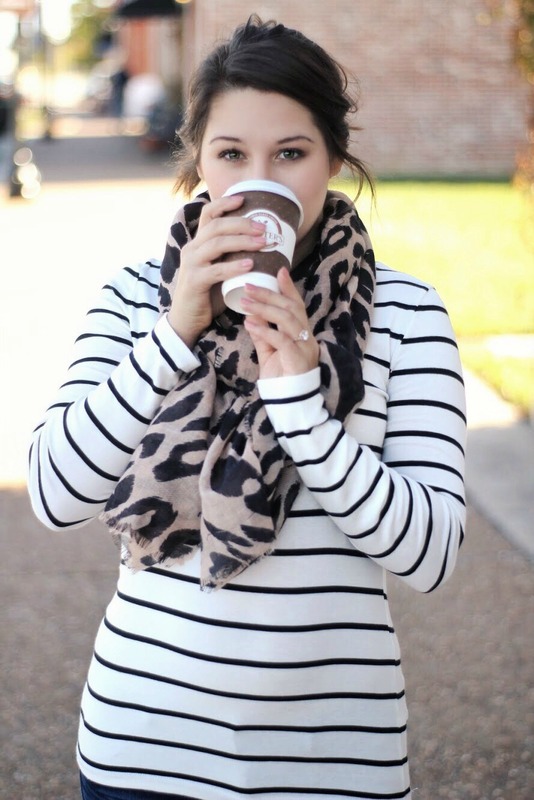 You can't go wrong with a leopard and stripes combo! This is the best combo in my opinion! 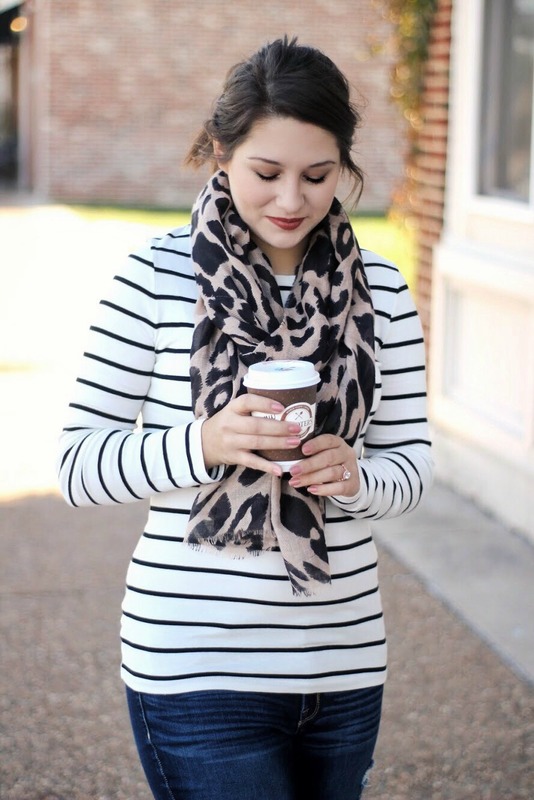 Stripes are my favorite print and the leopard is perfect complement to it. Love this look!